This release focuses heavily on precision. 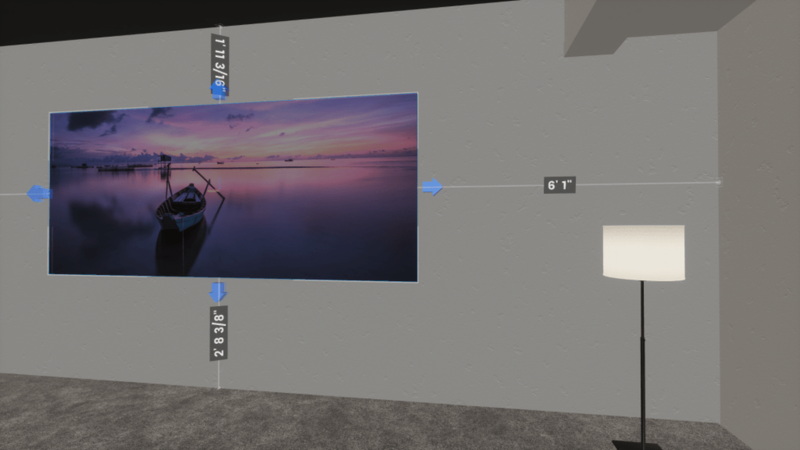 Getting measurements and object placement correct in Modus VR has been a little tricky and has required a steady hand up til now. This release brings the ability to nudge objects to the desired location as well as axis restriction movement. As part of this we are also providing the ability to change what measurement the ruler shows ranging from the nearest inch to the nearest 1/16 inch. This type of precision should help in making CAD export a more meaningful part of your sales experience with your clients. Restricted axis movement! The restricted axis movement is show by the arrow handles on each side of an object. Grab an arrow to move the object along the selected arrow’s axis. Incremental axis movement! 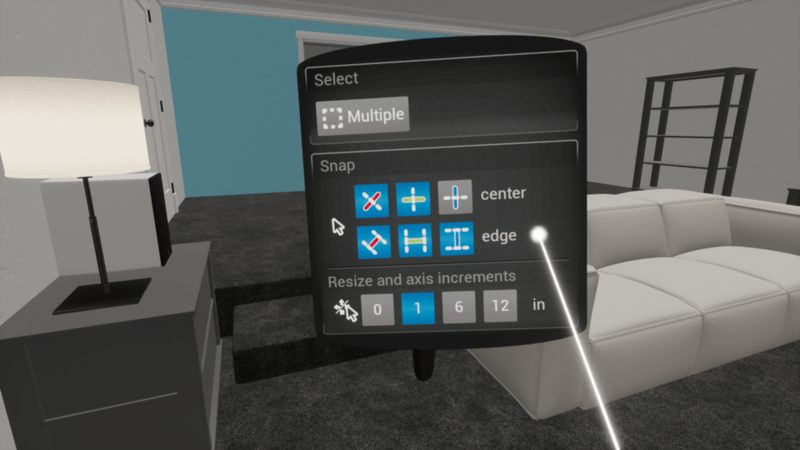 Axis movement respects the increment settings from the side menu, making it easy to adjust an object’s position by small amounts, e.g. 1″ at a time. Imperial measurements can now be shown in fractions! 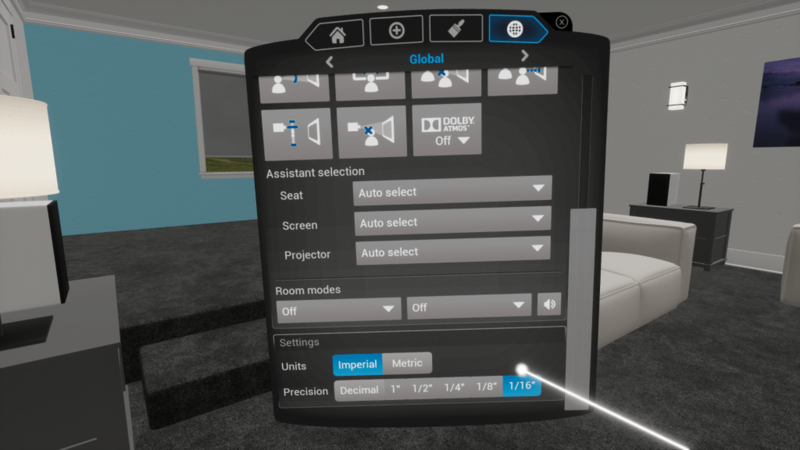 In the global tab underneath units setup, you can now choose to round measurements to the nearest 1/2″, 1/4″, etc. Nudge objects. With restricted axis movement enabled, half trigger on an arrow to nudge the object in that direction. Improved the responsiveness and predictability of the resize handles. It’s much easier to keep them under control now. Resizable 2D interface! You can now resize the Modus launcher to take advantage of larger screens or to squeeze it into smaller ones! 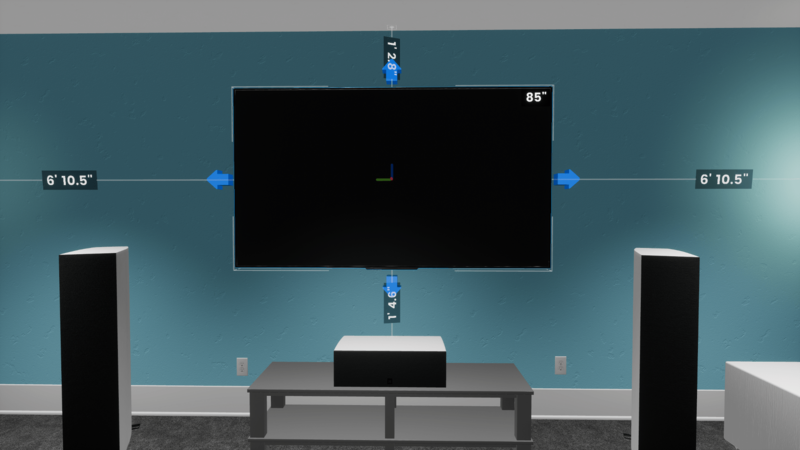 Fixed projectors not respecting snap-to-center settings in the room. 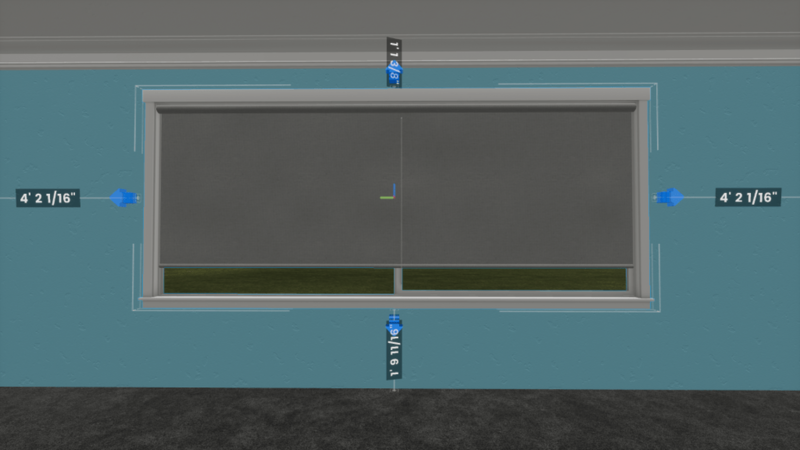 Windows being the wrong depth in extremely large rooms.